Now up: Democratic Senate Majority Leader Aaron Ford, who announced his candidacy for attorney general on Tuesday. Ford’s position on the topic of “sanctuary cities” — a politically charged term with no official federal or state definition in place — has already come up in attacks from Republican groups even before he announced his attorney general bid. Officially, Ford was one of five “primary” sponsors of SB223, dubbed a “sanctuary state” law that would initially have barred state and local police authorities from cooperating or participating in federal immigration activities without a warrant. Although the bill was amended substantially, law enforcement officials remained largely opposed to the proposal in part due to concerns that the state could forfeit federal funding based on a January executive order targeting so-called “sanctuary” jurisdictions. Despite sponsoring the bill, Ford scuttled a planned hearing on the measure just days before the bill’s primary backer, Democratic Sen. Yvanna Cancela, announced that the proposal wouldn’t move forward. Ford sponsored a bill extending a ban on guns to people who are convicted of stalking or are subject to a domestic violence-related extended protective order. Gov. Brian Sandoval signed it into law. He also sought to remove civil immunity for people who use deadly force that’s found to be justified. The bill he sponsored, which would have allowed people to sue for shootings that are deemed legally justified, attracted opposition from the National Rifle Association and died without ever getting a hearing. He expressed frustration when Question 1, a measure to expand background checks to more gun sales and transfers that passed a statewide vote in November, fizzled out late last year. The measure called for FBI background checks, but the FBI was unwilling to perform the checks, and Republican Attorney General Adam Laxalt’s office opined that they couldn’t force state agencies to do the checks. Ford supports charter schools, at one point aspiring to run an international chain of them, and often says Republicans don’t have a monopoly on the concept of school choice. He’s opposed Education Savings Accounts, calling them “vouchers” — a term eschewed by proponents. While he conceded to a joint Senate-Assembly hearing on the governor’s ESA bill and was in discussions about a potential compromise that would allow for a watered-down version of the program, he abandoned the effort when negotiations stalled. But as part of a session-ending compromise, he cosponsored a bill that added $20 million in credit to a program called Opportunity Scholarships, which offers tax credits to businesses that donate money for scholarships to private schools. Ford co-sponsored a successful bill, SB233, that enshrined a popular portion of Obamacare into state law by requiring insurers cover contraceptives with no copay. He also voted in favor of a resolution urging Congress not to repeal the health-care law. Ford joined Assembly Speaker Jason Frierson in expressing concern about the Senate’s efforts this summer to repeal the Affordable Care Act. The two wrote a letter to Republican Sen. Dean Heller demanding answers about how the repeal bill would affect Nevadans. After Sandoval vetoed state Sen. Yvanna Cancela’s original, ambitious bill bringing more transparency to diabetes drug pricing, Ford co-sponsored a successful compromise bill that combined ideas from Cancela and Republican Senate Minority Leader Michael Roberson. Ford helped lead a wide-ranging push for criminal justice reform during the 2017 legislative session. He was a primary sponsor of a bill to ban the state from using private prisons (it was eventually vetoed) and a bill to downgrade penalties for burglaries (it garnered significant criticism during a committee hearing and never advanced). He also led the charge for a pilot program in which inmates would have access to computers for educational purposes, and sponsored a “Ban the Box” bill that prevents government employers from checking a job applicant’s criminal history until a job offer is on the table. He sponsored a bill that would make it easier for people to seal their criminal records and voted to make it easier for certain ex-felons to regain their right to vote. After his teenage son Aaron, who goes by the nickname Deuce, told him he felt unsafe, Ford ushered a bill through the Legislature in 2015 that required Nevada Highway Patrol officers to wear body cameras. Deuce testified at the hearing, and the bill became law. In the 2017 session, Ford led a successful effort to require body cameras for all officers who work closely with the public, and allowed local governments to pay for the cameras by increasing a 911 surcharge on phone bills. In his first speech as Senate majority leader, Ford vowed that “we will pass legislation increasing the minimum wage this session.” He argued on behalf of people trying to support a family on the minimum wage. While the Democratic-controlled Legislature passed a minimum wage hike on party lines, it was vetoed by the governor. The bill would have raised the minimum wage in Nevada to $12 over a five-year period; it would max out at $11 an hour if employers offered insurance. That’s up from the state’s current minimum wage of $7.25 an hour or $8.25 an hour based on whether or not the employer offers health insurance. As a backup, lawmakers passed SJR6 on party lines. If the proposed constitutional amendment passes the 2019 Legislature and then a statewide vote, it would make the minimum wage $9.40 in 2021, and raise it by $1.15 each year until it hits $14. Ford was a primary sponsor and the main presenter of a bill that would have required employers with 25 or more workers to provide paid sick leave to their employees full-time employees after their first year of employment, with a handful of exceptions and limits on how much time off could be accrued. Even after considerable work on the bill, it passed on party lines in both the Assembly and the Senate and was vetoed by Gov. Brian Sandoval. Democrats didn’t try to override it. In a speech that was the official Democratic response to Sandoval’s State of the State address, Ford threw his weight behind DREAMers and immigration reform. “I want to make clear that our fight extends to the many members of Nevada’s law-abiding immigrant community. Democratic legislators will fight to keep families together, protect DREAMers, and urge the federal government to finally pass comprehensive immigration reform that provides an equal and full path to citizenship,” he said. He has signed onto legislative resolutions urging Congress to pass such a reform. Ford had strong words for the Trump Administration after the announcement that the Deferred Action for Childhood Arrivals program would be phased out. Ford was among the Democrats who supported building the Raiders a stadium that’s partially financed by hotel tax dollars. About half of his caucus opposed the endeavor, but he said he was persuaded by the testimony of people who needed jobs. “I couldn’t leave this chamber and look a laborer in the eye and say I had a chance to give you a job and I said no,” Ford said on the Senate floor during a special session to approve the deal. The plan has been a hot topic at public meetings and is still under negotiation. A preliminary draft unveiled on Thursday notably did not include specific minority hiring targets, as plans in other jurisdictions have. 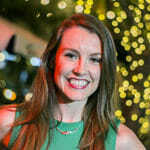 The final report, which was not released publicly, cited numerous instances of misconduct and concluded Manendo had created an environment that “interfered with the work performance of female lobbyists, visitors, and employees of the Legislature” and constituted violations of the Legislature’s anti-harassment policy. 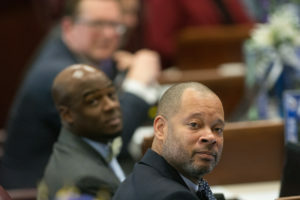 “Such behavior is not tolerable in any context, let alone by an elected member of the Nevada Senate,” said a statement from the caucus that also announced Manendo’s resignation. Ford led the charge to create a film tax program during the 2013 legislative session, adding some star power into a legislative hearing with an appearance by movie star Nicolas Cage. Lawmakers approved an $80 million, 4-year pilot program for the tax credits in 2013, but quickly pilfered $70 million of that fund in 2014 as part of the $1.25 billion tax incentive deal for Tesla to construct a major battery factory in Northern Nevada. Although some productions — most notably the critically panned Paul Blart Mall Cop 2— took advantage of the initial tax credit, the program has largely lay dormant until lawmakers approved the new funding for the incentive program in 2017. The program was approved largely on party lines and allows up to $10 million worth of credits every fiscal year, with unused amounts rolling over into the next year. Economists, including USC professor Michael Thom, have been critical of such programs, saying their research shows such incentives have no long-term impact on wages, jobs or other economic growth and that states generally only offered incentives as a way to stay competitive with each other. Ford sponsored a bill that would allow people to refinance their student loans and would fund the program with revenue bonds. But it hit a snag when the state’s Department of Business and Industry raised questions about the legality and estimated it would cost $35 million to implement. Despite an amendment moving the program over to the treasurer’s office, the bill died without getting a floor vote. 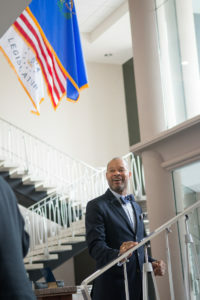 Ford was a primary sponsor of a more successful bill to create the Nevada Promise Scholarship, which would essentially make community college free. Lawmakers approved $3.5 million for the scholarship. Ford sponsored SB383, which removes exemptions for broker-dealers and financial advisors from the rules governing “financial planners.” It passed on party lines but was signed by the governor. The law states that the newly expanded version of financial planners have a “fiduciary duty,” to their clients, meaning they are ethically bound to act in their client’s best interest and are required to disclose any profit or commission they might make if their client follows their advice. “The issue is ensuring that a client’s best interest is being considered when we’re talking about investment advice as opposed to a commission for example,” he told KNPR. Ford, along with Sen. Mo Denis, were the only Democrats to oppose a bill that would allow doctors to prescribe life-ending drugs to terminally ill patients. While it narrowly passed the Senate, it never came up for a vote in the Assembly. Gov. Brian Sandoval had indicated he didn’t support the measure. Legislative Democrats’ “Nevada Blueprint” agenda promises they will “fight to ensure that voting is free, fair, and accessible for all eligible voters in Nevada,” and Ford has sponsored measures in several sessions to expand voting hours and ease registration restrictions. Ford sponsored SB327, a measure similar to the vetoed IP1 that would have required the Department of Motor Vehicles to implement automatic voter registration when a person applies for a driver’s license or identification card unless they affirmatively opt out. It never came up for a floor vote. His ambitious SB94, which would have extended voter registration deadlines, allowed for more early voting and authorized county clerks to register people to vote on the day of the election, got a hearing but later died. Ford voted in favor of a successful bill that mandates that clerks provide voting materials in additional languages and requires clerks to establish at least one permanent polling place for early voting. He garnered some criticism after Democrats failed to hear an “open primary” bill carried by Republican Sen. James Settelmeyer that would allow registered nonpartisans to participate in primary elections and would send the top two vote-getters to the general election. Proponents say it would allow more people to vote and is timely as more people register as nonpartisan. This story was corrected at 3 p.m. on Sept. 18, 2017 to reflect that voting center proposals did not become law.